In non-reading news, I’ve been battling Baldur Gate’s: EE‘s multiplayer and… Just. The frustration. I give up. I GIVE UP. I have tried everything the internet threw at me to try. Getting multiplayer to work with that game (without third party software) is HORRIBLE. *rubs temples* I’m too sulky and stroppy to try and deal with it further. No, this totally did NOT eat up my day. 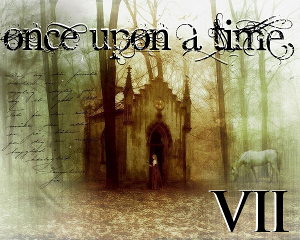 Book Talk: Once Upon a Time 7 is here! WHOO! As I mentioned at the end of the first week of February, I was well on track toward reaching my goals. I finished up Beauty by Sheri S. Tepper, I finished the story I was working on and started to rework The Passage of Pearl. I suspect to have that ready somewhere in April/May at the latest unless the story decides to throw wrenches at me. It’s taken me far, far longer to work on The Passage of Pearl as I’d anticipated and I’m not 100% sure that what I’m doing is working, but either way I’ll be able to release a story I have even more pride and confidence in. My February word count quite honestly blew me away. It stands at 30,854 words. So, yes, that’s more than double what I was aiming for. O_O March is also off to a pretty decent start. It’s not stellar — The Passage of Pearl is being a little ornery — but it’s perfectly respectable and has pushed my yearly total past 50K. I’d not expected to be at this point until the end of April, so I am really pleased and tickled by that. Unofficially, my goals are to finish new drafts (and preferably the last draft) of The Passage of Pearl, Changeling’s Time and Made to Be Broken, but we’ll see how that goes. The first two are high priority pieces and I’ve got some pieces that may (read: likely will) usurp Made to Be Broken in the queue. One day, I will learn how to make a calendar with a proper planning and wield it effectively and it will be grand and awesome, but that day is not today and I shall keep my planning tucked nicely in my head. But there you go. March’s goals.